Lately, I've been a little frustrated with gaming on my Mac. And this isn't just a little bone to pick about how Macs are always second fiddle to PCs when it comes to game developers. I have a fundamental problem with the games that are coming out on ALL platforms these days. They're just... well.. boring! And that has been driving me back to rediscover old games that I have given up on in the past. I'll admit it up front.. I've never been an avid fan of first person shooter games, and maybe that's a large part of why I don't play games much anymore. First person shooter games seem to make up a large part (if not the majority) of the commercial games out there on the market. Besides, I tend to go for more shareware games that aren't necessarily in the FPS genre -- adventure games, puzzle games, god games. I've played my share of FPS games, too. The biggest recent splash in FPS gaming has been Halo; I haven't played it myself, but I will definitely play it in demo form or on someone else's computer before buying into the hype. Of course, unless it's a really intriguing game with a continually evolving storyline, a game can't hold a person's attention forever, and so I had lost interest in the old games that I used to play a lot. I was expecting that I'd always find some sort of new game to replace the old, even if I didn't like the FPS genre that has dominated the gaming landscape in the past few years. But that hasn't happened for me: none of the recent games have really caught my interest. Don't get me wrong: there are a few bright spots in the gaming industry in the past few years. But most of the ones that I can think of are already almost 2 years old, or older. One such game was StarCraft. The solo game had a really involving storyline that kept pulling you back into the game, and the expansion pack built upon that solid foundation. StarCraft was the perfect "god" game, where you were able to micromanage your armies and coordinate attacks as if you were someone watching the battlefield from above. WarCraft II, the previous god game that was also created by Blizzard Entertainment, also had an involving storyline, but the gameplay wasn't as great -- you couldn't queue up people to train and you could only select 9 people at a time, which were big limitations when getting into big battles. WarCraft III, though, the next big game to come out of Blizzard after StarCraft, didn't hold my attention. I bought the hype -- I went out and bought it the week it was released, and was sorely disappointed. It was basically just a rehash of the old gameplay, but with more micromanagement. That ruined the delicate balance between micromanagement and frustration that StarCraft had created so perfectly. 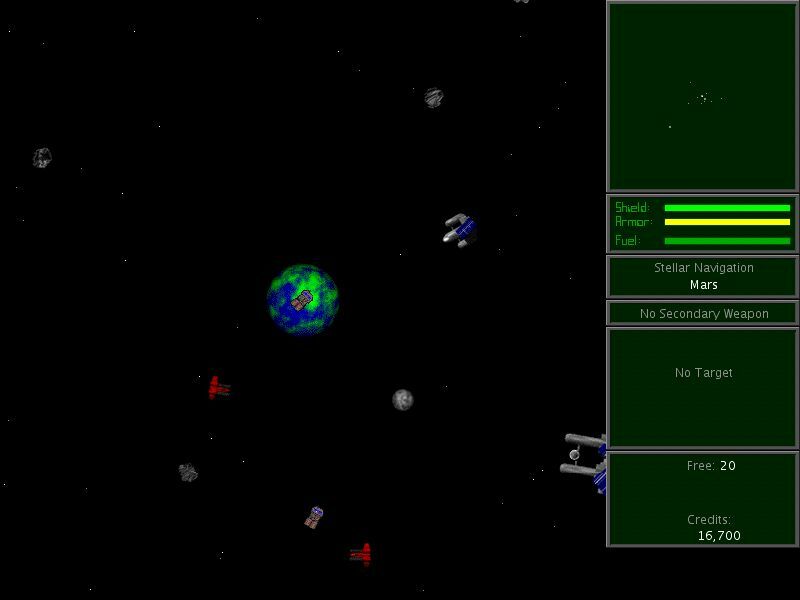 Another game that I used to play all the time was Escape Velocity, by the venerable shareware company Ambrosia Software. 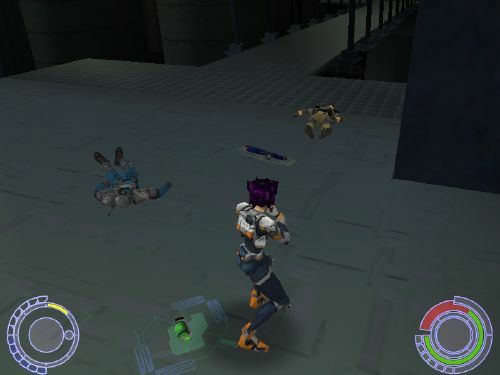 Override was a big step up from the classic version, boasting a much larger universe and many more storylines to pick up, since there were many more different species and factions in the game. But the threquel to the series, Escape Velocity Nova, isn't as good. The improvements to the graphics and gameplay were nice, but there's always a main storyline that you follow, and all of the main storylines are mutually exclusive. So once you finish a storyline, that's it -- you have to start with a fresh pilot to try other missions. EV Nova includes much less variety in the storylines than Override did, and so after playing through two or three of the different storylines, I gave up. It was boring to have to go through the start of the game all over again just because you were good enough to have finished a different storyline! This is, of course, not mentioning the fact that a good game idea can only take you so far. EV Nova was stretching it. The first in the Escape Velocity series. 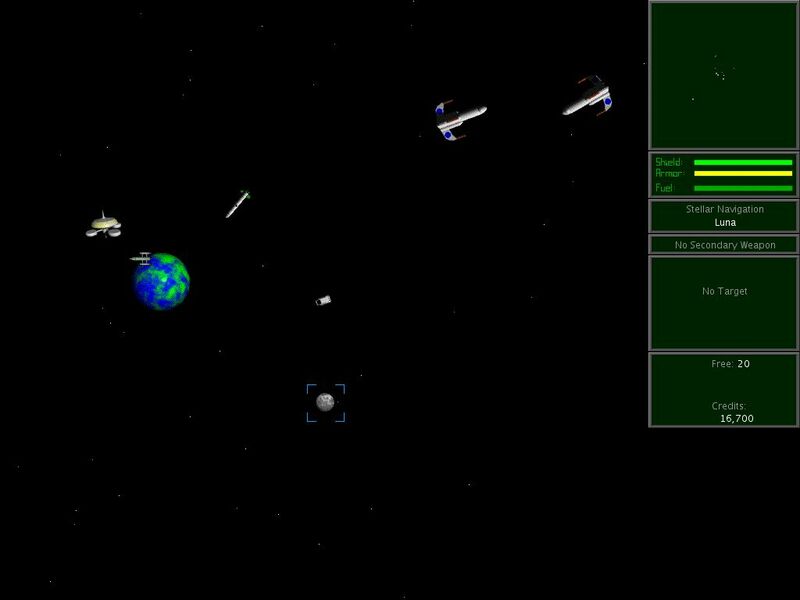 As I said, I've played my share of FPS games, too, and I would be remiss not to mention my favorite one: Star Trek Elite Force. While Unreal Tournament and Quake failed to catch my attention, Elite Force was one of the FPS games that did. My main motivation for getting the game, probably, was that I'm not only a Mac fan but also a Star Trek fan, so it was fun to play a game in which I already new many of the characters. The storyline in Elite Force was also fresh, and not a rehash of any episode of Star Trek. That would have been a fatal mistake. Take that, Five of Six! Oni was a particular bright spot in recent Mac gaming history as well. 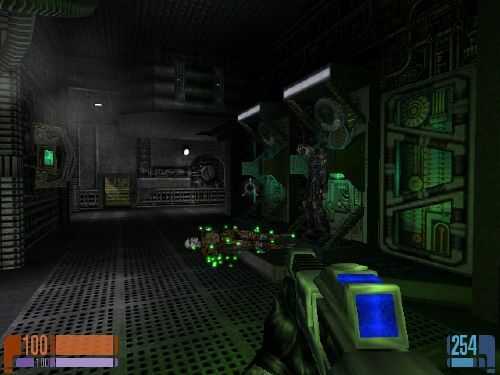 While not really a FPS game (it's from a third person perspective), Oni added a very unique element to the FPS genre: hand-to-hand combat. Konoko, the main character of the game, can do a multitude of different punches, kicks, and throws as well as special combo moves that help you to completely knock out your opponent. Furthermore, unlike many FPS games, Oni limits you to being able to pick up only one gun at a time, making strategy a big part of the game, instead of just a bunch of gun firing. So there! You just GOT beat by a girl! Enigmo, one of the more recent games, was also a very enjoyable, although shortlived game. 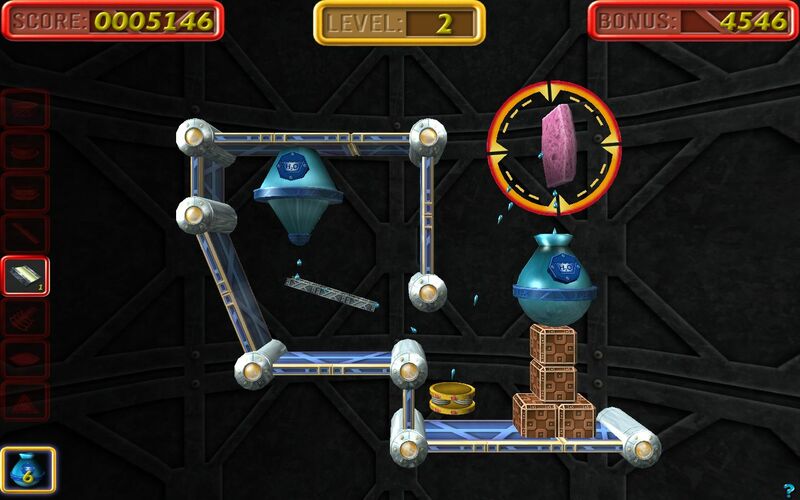 In Engimo, you have to manipulate drops of water with various objects like sponges, glass plates, trampolines, and shooters, in order to get the liquid droplets to their respective designations. 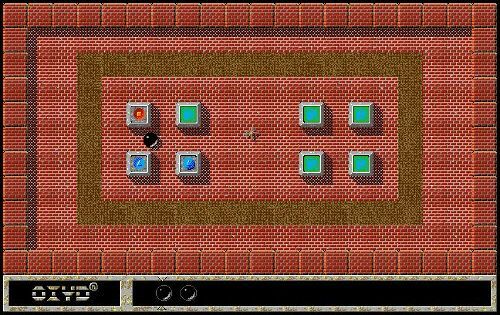 What was particularly fun was that sometimes you had to manipulate the droplets through certain colored hoops, which would then unlock gates of the same color. This was often needed in order to let other droplet streams be able to get to their destinations. The only downside to Enigmo was that the 50-level pack went by fairly quickly: I was able to finish the whole game in a matter of days. While you can build and/or download custom level sets, there aren't many good ones out there since the fan-base for Enigmo isn't very large. The most recent game that I can remember really enjoying was Myst III: Exile. I played the original version of Myst on my Macintosh IIsi when it first came out, when it was that revolutionary new game that just rattled the gaming landscape. Later, the sequel to Myst, Riven, was released on a set of 5 CDs. However, I as well as many other people found Riven to be exceedingly difficult, and not nearly as easy to get into as Myst was. Luckily, UbiSoft was able to salvage the series with Myst III: Exile. The graphics were much more immersive, and the puzzles were at just the right difficulty to make it a fun game to play. Being able to play a game at your own pace without having to think about time constraints was one of the best characteristics of the Myst series. 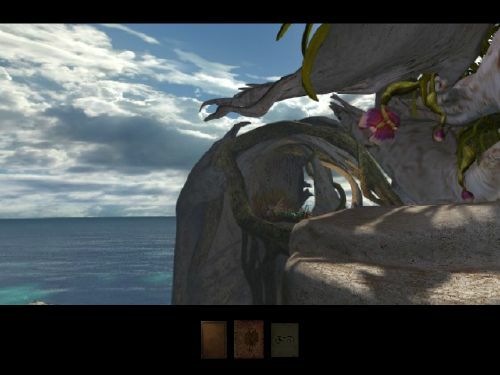 Too bad UbiSoft is giving up on the Mac with Uru: Ages Beyond Myst. One other source of some great Mac OS X-native games is the uDevGames 2003 contest. While the entries have all been put together on extremely short notice, some of them are surprisingly well put together. 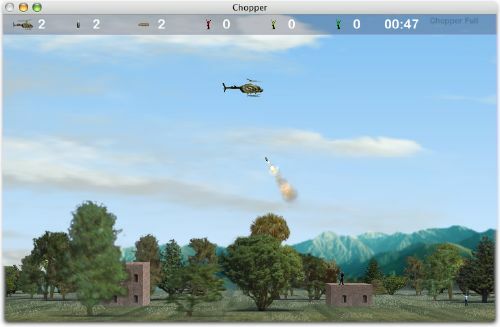 Unfortunately, their server has suffered a lot of downtime lately, but two of my favorite entries, Chopper and Primate Plunge, can both be downloaded from other sources. However, neither of these games have an immersive storyline that many commercial games have, so after a while, they lose their addictiveness. Remind me again why there are spiked platforms in a big city. Given that there aren't any new games that have caught my eye, I've been slowly losing interest in playing games on my computer. That's a shame, because I've always found it very relaxing to be able to immerse myself in a totally different world whenever I need to get away from my work for a bit. So what do I do? Well, recently I've been rediscovering some of those older games that I used to play. And hopefully you'll find a gem of a game that you used to play all the time, but never wanted to invest the time in setting up an emulator or finding an old Mac that's actually capable of playing the game. First off, it's worth mentioning that all of the aforementioned games (except WarCraft II) have OS X updaters available. 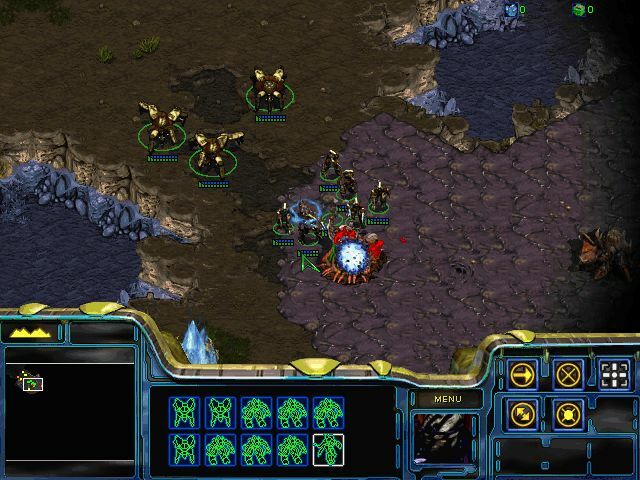 Both the original version of StarCraft and the Brood War expansion pack have official OS X versions that are available directly from Blizzard Entertainment. Similarly, Aspyr released OS X updaters for both the original version of Elite Force as well as for the expansion pack. The latest Myst III updater also includes OS X compatibility. WarCraft III, Enigmo, Chopper, and Primate Plunge were initially released with native OS X compatibility. The OS X updates for Oni, EV Classic, and EV Override, however, may have slipped under the radar when they were released. The updates have only gotten a small amount of attention, and so it's worth noting that these games can be made to run natively in Mac OS X, as well. It was actually the Omni Group of OmniWeb fame, who ported Oni to Mac OS X -- you can get the update here. As for EV Classic and EV Override, they did come from Ambrosia Software themselves, but as an add-on file for EV Nova. So, first, download EV Nova. Then, you can download the EV Classic total conversion, or the EV Override total conversion. 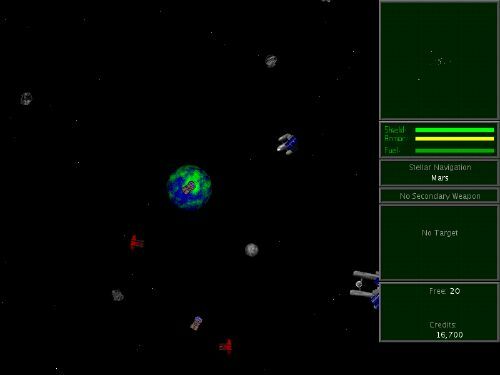 Simply follow the instructions with the included downloads, and you'll be able to play all 3 releases of Escape Velocity native in Mac OS X. Note that in order to play EV and EVO using EVN, you'll need to have EVN registered. That's the Override total conversion, running in Escape Velocity Nova. But beyond these, what other old games are out there that can still be made to easily run on Apple's newest operating system? Well, let's get the best out of the way: Descent. Descent is the game series where you fly around in a ship, destroying other robot ships that have gone horribly awry because of a virus. 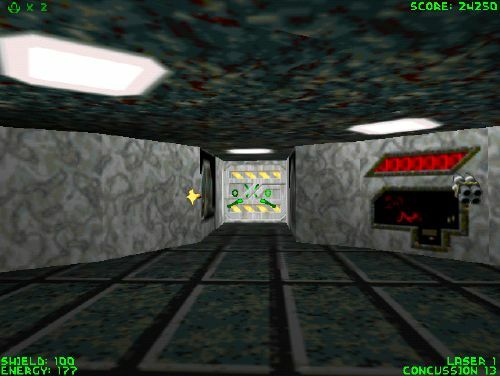 You have to find the blue, yellow, and red keys before destroying the main reactor and then rushing to find the exit. Well, the D2X Project has dedicated itself to getting both Descent I and Descent II to run on all the latest operating systems: DOS, Windows, Linux, Solaris, and even on Pocket PCs, not to mention Mac OS X. But don't worry, you don't have to download the source code and compile it yourself -- an enterprising Mac OS X user has compiled it and made a binary available, so all you have to do is download the D2X disk image, libSDL (a required library for D2X to run on Mac OS X), and you're set to go! The D2X binary distribution includes all the level files for the Descent II demo -- but as long as you have your Descent I or Descent II CD, you just have to drop the data files in the Data folder, and D2X will recognize them and allow you to play both full versions! D2X does have a few issues as it stands -- it's a very preliminary beta version. First of all, movie files from the Mac versions don't play (you'll have to get the PC movie datafiles), there are some weird sound issues (the sound becomes all scratchy when you start to play), and sometimes the textures on the walls don't show up correctly. Also, be prepared to Force Quit the application: it seems to hang a lot, especially on quitting. But these are small annoyances (which you should always report) -- when you're rushing towards the exit, when your ship is bouncing around due to the explosions in the mine core, and you have to blast your way through a bunch of baddies, the last thing you'll be worrying about is how the music doesn't sound right. None of the new games out on the market today can hold a candle to the rush of apprehension you get when trying to get to the exit on any level in Descent (I, II, or III). Now THAT'S what I call a great game! Note that, as far as I can tell, Descent III doesn't work with D2X, so, unfortunately, that's relegated to Mac OS 9 territory. It seems to work fairly well in Classic, though. Descent I, running natively in Mac OS X! There are a few other classic games that are still fun to play under Classic. The first, surprisingly, is Crystal Quest. 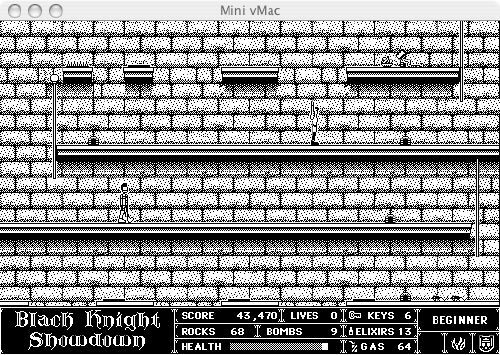 This was the first color game ever to come out for the Mac (despite the screenshot below being in black and white), and it being able to run under Classic is a testament to its simplicity both in gameplay and in coding. 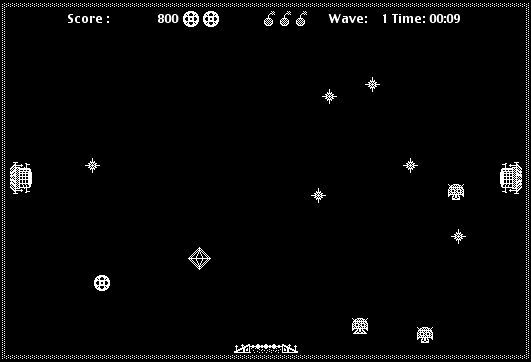 In this game, you control a small circular ship with the mouse, you shoot baddies, you collect crystals, and once you're done, you exit out through a gate. Simple, yet very fun. Flashback is another great game that runs under Classic. This falls under the adventure category: you run around in different levels, trying to find the keys, rocks, and other items that will help you get to the next level, all while avoiding or shooting the multitude of different enemies. It also has a well-developed storyline that keeps you interested in the game. Another characteristic that makes Flashback a well-balanced game is that it's not all about shooting enemies: there's a degree of puzzle in this game, in that you have to figure out how to get certain objects that are blocked by exploring other parts of the levels. Huh, wha? Who.. where am I? 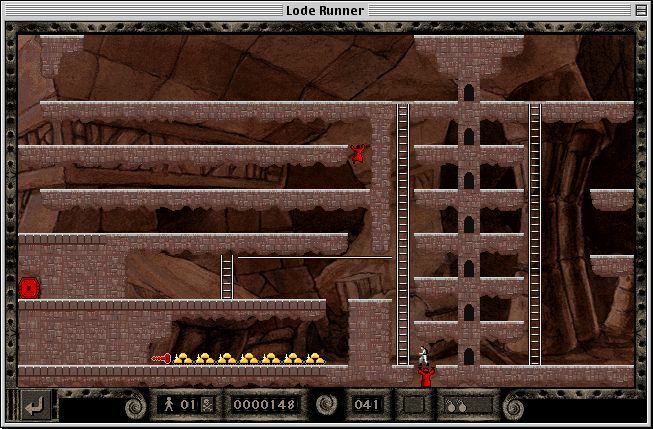 If you're into puzzle games, Lode Runner will be sure to capture your attention. 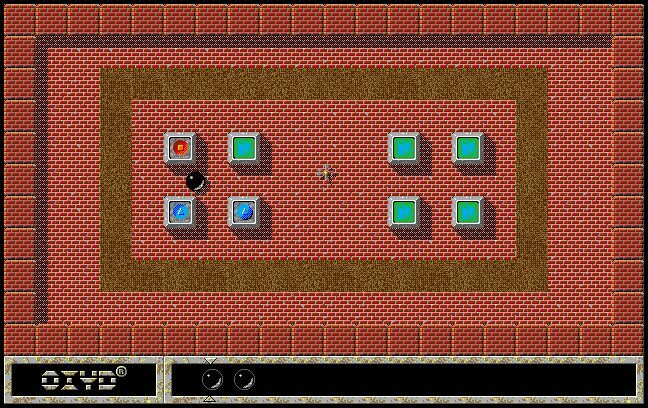 Like Flashback, you need to complete a series of levels by utilizing all the tools that are avaliable, even while avoiding the enemies. In Lode Runner's case, however, the level is encapsulated in a single screen, so you can see everything at once. All you need to do is collect all the coins, and once you do, get to the exit. It's deceptively simple, but the monks that try to get you make many of the levels very difficult. You have a bunch of tools at your disposal: jackhammers, monk traps, laughing gas, as well as your natural ability to make some of the ground that you walk on disappear for a short time. It's a game that makes you think on your feet, and if you don't, the monks will get you. 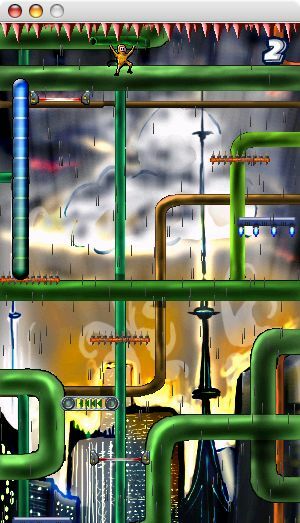 Another classic puzzle game, Oxyd, is also very captivating. In Oxyd, you control a small marble on the screen, which you control via your mouse. The object of the game is to match up certain blocks: to do this, you hit these blocks, and they reveal their symbol. All you have to do is hit two blocks with the same symbol in succession. Once you do this for all pairs of blocks, you're done, and you proceed to the next level. In Oxyd, you also have a bunch of tools at your disposal, like bombs, switches, umbrellas, and even coffee breaks that help you get through all the obstacles. Again, a deceptively simple game, yet very fun. 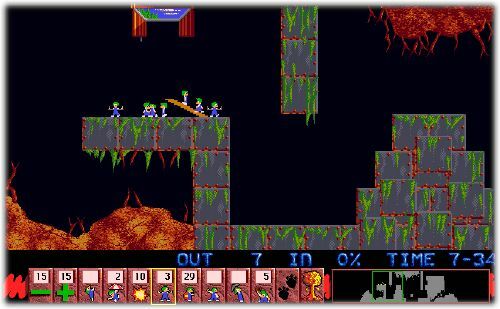 Where would a classic game review be without Lemmings? This is probably the ultimate in puzzle games: a bunch of cute blue and green lemmings start streaming out of the starting gate, and it's your job to guide them to the exit, by delegating tasks to the different lemmings. Some can be blockers, directing other lemmings away from a danger. Some can be builders, that simply lay bricks to form stairways. And some can be floaters or climbers, which allow Lemmings to go where its too fall to far, or where there's no way to get up. Fortunately, apart from music and sound, Lemmings also runs just fine under Classic. I could go on and on about other Classic Mac games that are great (the Prince of Persia series, Indiana Jones and the Fate of Atlantis, Worms, PegLeg, Spectre, The Incredible Machine series, etc. ), but that would take up a lot of space. Of course, there are those games that sadly, don't run under Mac OS 9 anymore. For all those games, there are emulators! There are three main ones: vMac, Mini vMac, and Basilisk II. vMac hasn't been updated for a couple years now, but Mini vMac, which is based upon the vMac code, is regularly updated. For playing games, Mini vMac is definitely the preferred option -- regular vMac has horrible keyboard emulation, and Basilisk II doesn't currently have any sound code. Mini vMac has good keyboard emulation and (just recently) sound, so it's much preferred -- you'll have to download version 2.1.1 in order to have sound code, not version 1.0. The main two games that are even worth playing under emulation are Dark Castle and Beyond Dark Castle. 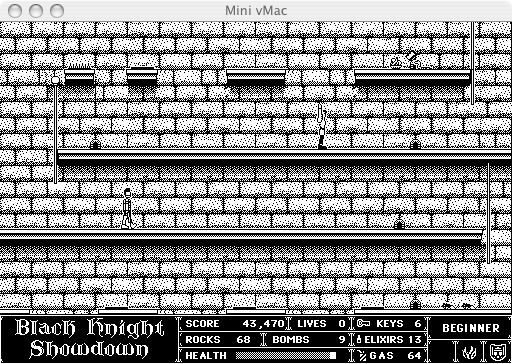 Since Delta Tao Software has (unfortunately) not been updating its buggy Mac OS X-native Dark Castle port, you'll have to be satisfied with emulation. In both games, you are Duncan, an intrepid adventurer who is out to dethrone the Black Knight. You have to throw rocks and get elixirs in order to kill or stay immune to the various birds, bats, and mutants in the castle. You traverse through the levels, getting fireballs from the wizard and a shield from atop a castle, facing the Black Knight himself at the end. In Beyond Dark Castle, you also have 5 orbs to get before you can face the Black Knight. There are other great additions to the sequel, like 2 dizzying labyrinths with crawl spaces, snakes, and even a gas-powered flight pack. Beyond Dark Castle: we're almost face to face with the Black Knight! Of course, if you never bought these games in the first place, you'd be out of luck playing them now. 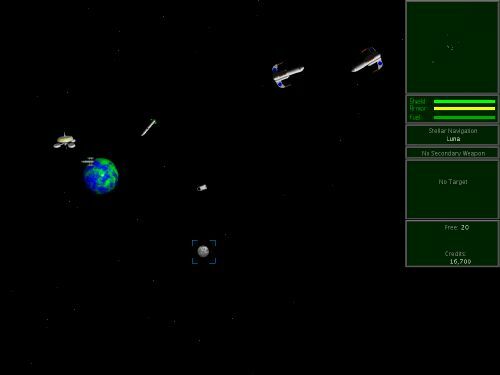 Fortunately, there are two great Mac abandonware websites that list an abundance of old Mac games, and all of the aforementioned ones are on the list. 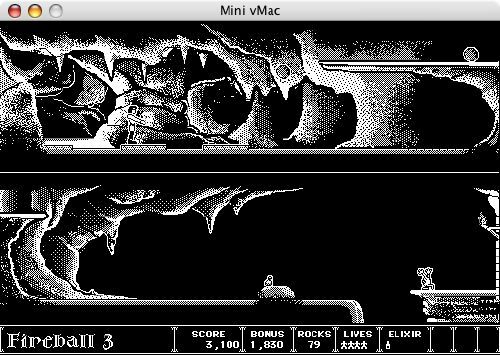 Macintosh Garden lists many abandonware Mac games by category and alphabetically, offering user reviews and tips on how to make the game play as smooth as possible on modern Macs, whether under Classic or other emulation. System 6 Heaven lists a plethora of games as well, but doesn't offer a user community. Nevertheless, it is also an awesome source for old games (and for various tidbits of information, like how to network two Macs, one running System 6 and one running Mac OS X!). 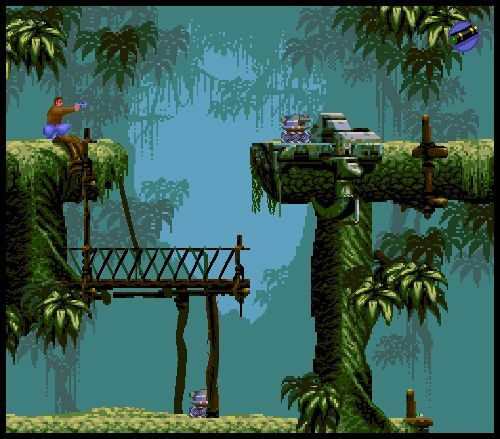 Got any other old games that you still enjoy playing? Leave a comment! I'd love to hear everybody's nostalgia about their favorite games of past years.